Stanislav Polozov is a Blockchain Implementation Specialist, another adviser who joined us from Emercoin group. He graduated from Kiev National Taras Shevchenko University in 1991, where he obtained a Master’s degree in Molecular Genetics. From 1998 to 2001 he was working on the project The Bat!. The Bat! is a shareware email client, developed by Ritlabs. Due to his excellent work as CMO of a project, The Bat! became so popular in Russia and in all the world. By 2007, he was working as Team leader of Smart House department at TMM Real Estate Development, Plc. In 2009, he joined Angelico Biotechnology Investment Fund as a Partner to be in charge of scientific due diligence and collaboration, initiating and closing deals worth a total of $70 million. He was working as an advisor. In 2005 he founded and established Comforta Ltd. to provide homes and buildings with automation services. In a very short time, Comforta Ltd. became a leading home automation integrator in Saint-Petersburg and the North-West region of Russia. In 2013, Polozov sold the company at a healthy profit. 2009 saw the advent and establishment of another company, Highcross Automation. The idea behind the company was to create smart-house equipment which would use the most common Ethernet networks and the most common TCP/IP as a native transmission media. In other words, to create devices that would be compatible with anything possessing an Ethernet jack. Within just a few years, Polozov and his team have designed and released a wide array of products, operating in many homes and businesses all around the world. In 2014, he co-founded Emercoin, a leading blockchain platform with a unique set of implemented features. Some of the innovative services he and his team have developed include, but are not limited to: offering secure network management and password-less authentication to internet users, trusted Timestamping for all types of intellectual property and digital data, alternative internet domains, and the ability to develop custom tools on the Emer blockchain. Polozov has an accomplished career in the technology industry, and likes to be on the cutting edge of advanced technologies, both in the hardware/software and medicine fields. However, with the help of our project, this problem will be solved. Customers will directly contact the provider and get all the information. As long as it all stored in one system, with the help of blockchain technology, it's impossible to change it. You can see all the origins of data and it’s an easy, safe way to know everything about your vehicle. We are happy to announce that our pre-sale starts today on the 1 of December and will be held till 24th of December. Over the past few months, we have worked with different partners to ensure the success of this event. Many people see our idea the way we see it hence the project has attracted a lot of investors both locally and internationally. That said, to take part in our pre-sale you need to go to our web-site and press join to start the registration. It’s an amazing opportunity to buy our tokens now as you will get bonuses and discounts. The faster you buy the more benefits you get. If you are interested and willing to participate, there are no restrictions or any special condition to become a member. During this period 12,500,000 tokens will become available for placement. Hurry up to buy our tokens. First million tokens will be sold with 1 ETH - 10.000 VIN, from 1 000 001 to 5 000 000 tokens will be sold with the price 1 ETH - 8570 VIN and then from 5 000 001 to 12 500 000 you will get 7500 VIN for 1 ETH. Start investing in our project now and you will receive all the privileges of an early investment and also help us to make our project more successful. Hurry up and buy Vinchain tokens with a better price! Second place in Moonrise 2017! Wow! We just found out that we took up a second place there! We are so glad! Alex Miles, our CEO, had a pitch via Skype. Thank you, Moontec. 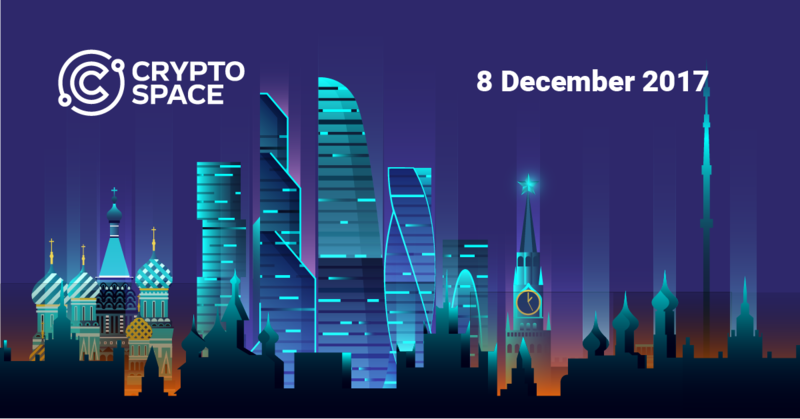 We are glad to announce that we are going to the Cryptospace Moscow conference this Friday. This event always accommodates 30000 participants from more than 30 countries. This conference will be held on the 8 of December at the Moscow School of Management Skolkovo. We are privileged to be among the people who will be attending it. Most speakers will be presenting in Russia for the first time. The event is going to be the biggest blockchain conference in Eastern Europe. The conference will be attended by representatives of crypto funds, crypto-exchanges and block business entrepreneurs with a world-wide reputation. It will be a good opportunity for Vinchain to interact with these great minds and share our project’s motive. Doing this puts us on the international platform where many other investors can know about our project. The conference will be opened with the speech of one of the most authoritative leaders in the field of blockbuster affairs, William Mugayar. He is an influential personality who knows how to capture and maintain the attention of the crowd. We look forward to sharing a stage with him and many other influential people. We are also looking forward to gain new experience and knowledge from our colleagues. We will be there for all day answering questions and spreading information about our project. We would like to invite you to support us by watching the whole event. See you all there. How Safe is the Blockchain of Emercoin to Store the Entire History? Founded in December 2013, Emercoin continues to rise up the ladder as one of the leading giants in the Cryptocurrency and Blockchain platforms. 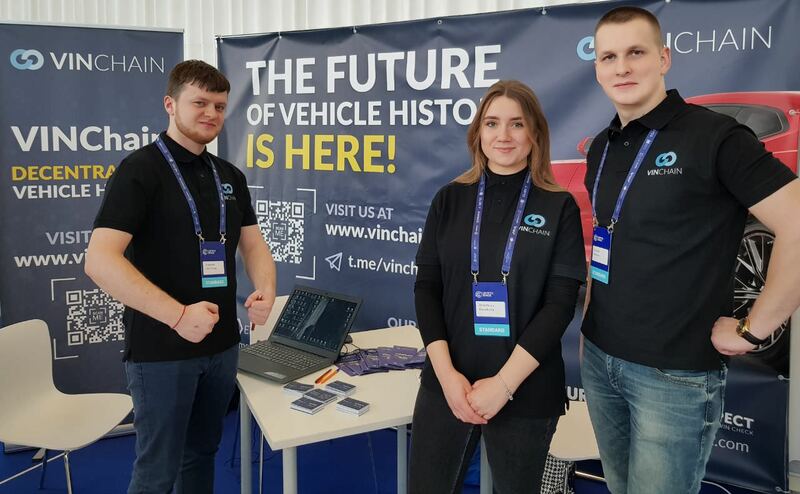 Being a Start-up company, VinChain wants to create a decentralized database with records of all about vehicles on a budget. As such, we needed a Blockchain system developer who could offer a full bouquet of services so as to cut the costs. Having implemented successful blockchain services in the past, we settled with Emercoin. It not only offers digital currency platforms but also an array of blockchain services for both business and individuals. But just how safe is it? Emercoin has used the Blockchain technology to create many decentralized applications. Every application maintains a certain level of innovation which is why EmerCoin (EMC) continues to move forward at an amazing rate marking one milestone after the other completed. To remain unique and trustable, EmerCoin is powered by the decentralized system which securely holds important information. Therefore, Emercoin will be able to store and transfer important information on identity& ownership of automobiles. Other users will also be able to get the vehicle records from all parts of the world. The service will be available round the clock hence very convenient and reliable. Emercoin is blockchain platform for wide range of distributed trusted services. Such services include Magnet, InfoCard, and EMCDPO which have been very effective. With Emercoin on our team, our project’s incubation period has been shortened. It is the safest and most reliable blockchain platform that is necessary to help VinChain develop a decentralized vehicle database. Roger is an entrepreneur, disruptor and independent strategic advisor in FinTech, LogisticsTech and Logistics including blockchain/cryptocurrencies. He is CEO Capital Springboard in Singapore, strategic advisor to private equity in Europe and Asia and a board advisor to several startup companies in Americas, Asia, and Europe in FinTech and Logistics Technology with a focus on disruption. He was formerly a Member of the Board of Management, Deutsche Post AG (DeutschePost DHL a Dax 30 listed company) and Global Chief Executive Officer, DHL Global Forwarding & Road Freight Division from 2011 until 2015. The division had revenues of around €15 billion, with approximately 45,000 employees and operated in more then 200 countries and territories. He was also the global sponsor of DHL’s Life Sciences sector. Prior to this role, Roger was the CEO of DHL Express Asia Pacific, Eastern Europe, Middle East and Africa Region with 129 country markets, and at the same time he was Global Head of Sales and e-Commerce for DHL Express (based in Asia). He was also a member of DHL Express Global Management Board. Before this Roger was CEO of DHL Express Americas, based in the USA. With close to three decades of operational responsibilities in the logistics industry, Roger has significant global, regional and local general management and commercial experience. He has lived and worked in the three key continents in multiple countries. He was employed in the Deutsche Post DHL Group from 1988 and has successfully worked in North and South America, Europe, Middle East, Africa and Asia. Roger was the also the innovator behind some successful global businesses units like the Express Logistics business and the Global Customer Solutions unit, which is responsible for the most important customers across Deutsche Post DHL. Roger has extensive business experience in China visiting on multiple occasions and doing business in China over last 25 years. Roger is a British citizen. He holds a bachelor’s degree in Engineering as well as a master’s degree in Business Administration. We are happy to announce that all day long we have been at the Cryptospace conference 2017 in Moscow chatting with potential investors and different people who are interested in working with us and providing different services that will help to develop our project. We were talking about our project, answering questions, explaining all the details and technologies. So many people came to our stand, and we was extremely glad to know that all of them see great potential in our project. We have exchanged the contacts and will be working on developing close relations between us. Vinchain creates a solution to the fraud menace that is common in the automotive industry. We have created a decentralized vehicle database which has accurate information on used vehicles that cannot be altered. As such, a car dealer and a buyer can transact on a transparent platform. Over time, many people have been able to understand our project and have chosen to be part of Vinchain. As a result, we can attribute our great sale to both our effort and the open minds of those who buy our idea. Congratulations to our team and all who have been working towards our progress. Thanks to those who believe in us and support us, and see a great future in our project. All our hard work, attending conferences and competitions paid off in the end. We are proud that we made it and we will be working hard to reach the final goal. We also want to remind you that during our presale 12.500.000 tokens are available. And as long as we have reached the first point in 1.000.000 token, the price is different now. Don’t miss your chance to buy tokens with special discount only for presale. Now you can buy 17140 VIN for 1 ETH. Hurry up and join us on the way to success! During the presale 12.500.000 tokens are available for sale. The price of ETH has doubled since the time we started. We made our plan with ETH cost of $300 and now it is $600. Also, to make it completely fair, those who have already bought our tokens will receive double after the presale (the same terms for everyone). We appreciate your being with us and supporting our idea so we will do our best to make the best possible offer for you. For any start-up, having a map of businesses which have done the same thing and succeeded is an honour. Ever since the beginning of our project, we have been privileged work with influential people in the world. We are happy to inform you that we have yet another addition to our team. Meet our new advisor Mr. Nissani who is a seasoned senior executive and has a proven track record of over 25 years across five continents in growing B2B and B2C companies. Mr. Nissani is a growth expert who serves as a board and advisory board member in several EU and Israeli high-tech and Blockchain companies (such as STOX.com), advising on strategy, marketing, operations and human capital management. His abundant working experience includes being the Vice President managing 888.com’s high liquidity business unit which has revenues of close to $100M. He was also as an easy-forex Chief Marketing Officer where he managed sales and marketing budgets of tens of millions annually. Mr Nissani also spent 5 years in venture capital and private equity with Poalim Capital Markets, the investment arm of Israel’s largest financial group – Poalim. He led investments in high-tech companies and assisted their management teams with both their strategy as well as their daily execution. In a nutshell, we are proud to have someone with such amazing talent and experience. As our advisor, Mr. Nissani will drive Vinchain to greater heights. The close presale has come and gone with us being able to sell a total of 1,000,000 tokens. Though it came as a surprise, we are convinced that our efforts and hard work are the reason for this huge success. From the onset, we have attended seminars, participated in conferences and partnered with various influencers in the blockchain industry. As a result, many people have come onboard to be part of our project. Therefore, Vinchain not only has implications in the blockchain industry but also in the automotive industry. 1. We have a limited amount of tokens – 1,000,000,000. So with the growing demand for our services our tokens will become more valuable. 2. Client will be able to buy our report with both fiat and tokens. But the cheapest price of a repot right now is $9, if you will pay in tokens you will pay 25 tokens per record which will be $1.50. 3. A lot of data will be stored with the time. So the value of the token will grow exponentially with the number of users. 4. The demand on our reports will grow as governments of different countries started to make steps towards creating laws that will regulate this process. From the 22 of May 2018 European Parliament will make a law that will require the odometer reading when selling or buying a car. Also in the US in some states it's prohibited to sell the car without report and we believe it is going to be on a federal level. 5. With the increasing number of our partners our clients will be able to use tokens in exchange on different services. 6. For us ICO is an opportunity to collect money and to spread our project as fast as it’s possible. Despite all our earnings during ICO and whether or not we going to reach our minimum, we will still make our project. Our partners Emercoin development group has already started to work on building a blockchain for us, and we have already made an agreement with other partners such as Autoinspect.us LLC. So you can be sure that we believe in our idea. Monitoring the progress of our project and our partner’s new proposal are some of the ways we will be able to estimate the value of Vinchain coins. We are determined to complete this project with the help of our partner Emercoin whose strategies have been very helpful. For dates on when the presale might occur again, visit our website to get the information and take part in it. We look forward to having you onboard our project. This weekend we had so many transactions and some of them weren’t successful due to the low limit of gas. Our recommendation is to set your gas limit to 350,000 so your transaction will definitely go through the system. Those who have already made a transaction need to check it, and if there are any problems with them, please, contact us through our website or send us an email at [email protected] and we will help you out. If you need any information on how to buy Vinchain tokens you can read the instructions here and if you have any questions visit our website and send us an online message so we will do our best to help you. In some states of the US, there is a prohibition on selling a car without VIN history due to the negative reputation of dealers. We believe that it’s going to be on a federal level, so the need in our reports will only increase. European Parliament is going to call for the documentation of all odometer readings starting from the 20th of May 2018 to prevent manipulations with odometers. The problem is real and existing databases are centralized what leads to series of problems. 95 million cars were sold in 2016, sales are growing every single year, and manufacturers are also increasing the production. The market for all cars in the world consisted of 1.38 billion units in 2016. Together with the cost of a history report ($15), the total volume of VinChain market is $20 billion dollars. This is the analysis of trends in the largest markets of the world - USA and the European Union. We have a limited amount of tokens so, with the growing popularity, the price on them will grow as well. Besides, we are aiming to make a partnership with so many different participants of automotive industry as possible. So that's why we, as a company, will only be receiving the smallest share of payment for the reports we will be providing. We are not looking for the quickest way to earn but for perspective growth of our tokens.